If I wasn't in advertising, I'd be working as an interior designer. It's in my blood - my dad designs furniture and my whole life I've been surrounded by homey, contemporary designs. After Devin and I are married next fall, one of my goals will be to completely re-design our apartment and take it from a mix-and-match of college furniture to a happy home for a married couple. 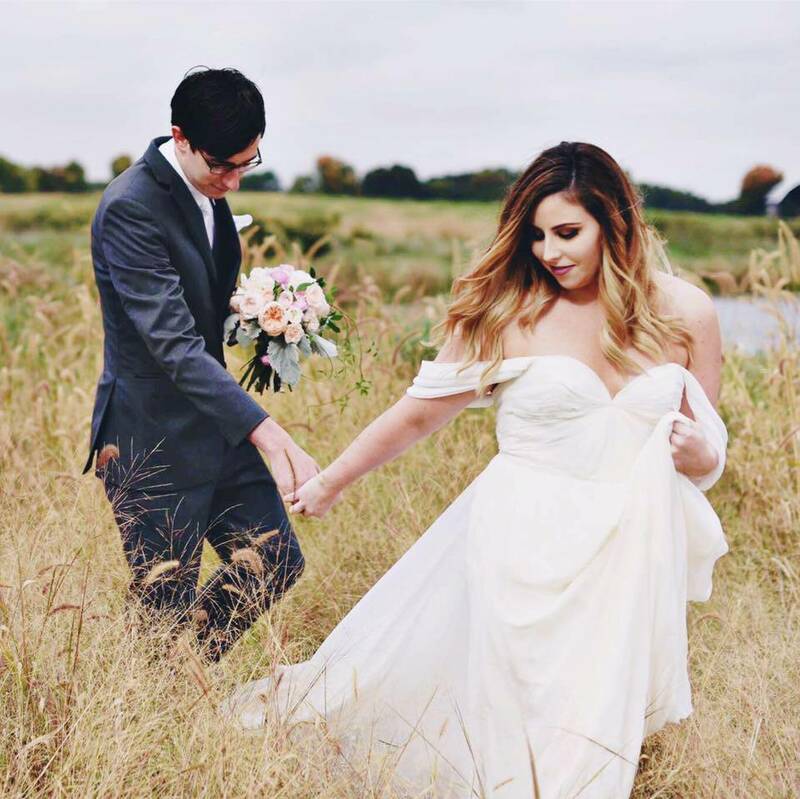 Devin isn't a huge fan of color (he thinks it can be rather "girly) so to keep my husband-to-be happy, I'll pick a metal-toned color palette, adding in creams, beiges and whites as accents. I love any shade of metal: gold, silver, rose gold or gun metal - I love it all. One thing that's a must-have in our home - a big couch. Devin is 6'2" so you can image how cozy we can get on our little Ikea couch while trying to have a Netfix night! I'd love to get a nice long couch like this one from CB2. 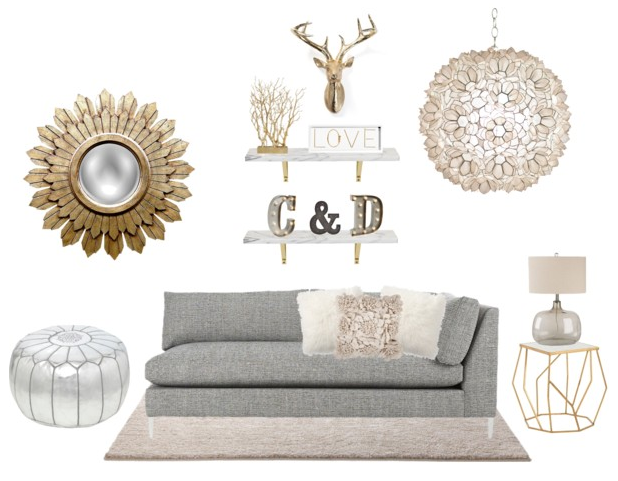 Add a couple fluffy throw pillows and this elegant yet cozy couch is ready for a movie night. I love to personalize my space with pieces the reflect our relationship. Adding the "C & D" lights on the marble and gold shelves take this from anyone's space to home we can truly call our own. Finally, I'd top this room off with some gold and silver accessories. These pieces are timeless and would last us well into when we purchase our first home. Love any of these items? Find them on my Polyvore board here.